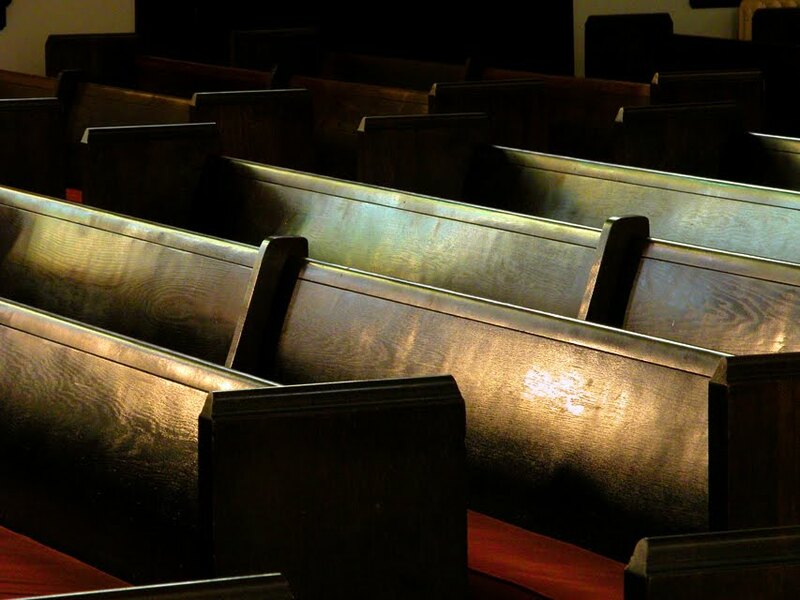 The other day, I heard an old saying for the first time – “Full faith means an empty church.” The implication of the aphorism is that a church that is preaching the fullness of the Gospel will quickly find itself without a congregation. The demands and charge of the fullness of the Christian faith are simply too much for many of us to bear for long. Yet, I am beginning to think that the phrase might be heard differently. Can living the full faith of the Church lead us to buildings that are empty not because the faithful are frightened by the Gospel but because they are enlivened by it and finding their fulfillment serving those most in need in our communities around us? The challenge for the Church amidst the changes taking place all around us is not for us to attract more believers to our buildings but to welcome those all around us deeper into Christ-shaped living. This won’t happen through the force of our pulpits or the power of our teaching alone but through the simplicity of lived Christian faith. Our congregants are our chief missionaries and evangelists – they are equipped for lives of purpose that draw others to see something of Christ. Full faith doesn’t mean that our buildings are absent of faithful men and women but that our buildings are the waystation for the faithful to draw strength and hope from being in Christ’s Presence so that they can go out refreshed and renewed for the work of Christian living. It has been this way since the very beginning. St Peter on one level appeared to be everything that faithful Christian should not be. And yet, before it was all over, Peter became the rock upon which the Church would be founded and a powerful evangelist and missionary for Christ. His life is a testimony to what God can do with a life offered to his service. At some point, over the course of his ministry, Jesus goes from saying “get thee behind me” to “Feed my Lambs.” Jesus knew Peter and knew what and who he was called to be. Convicted by the teaching and preaching of John the Baptist, Peter’s brother Andrew tells Peter of Jesus, “Behold the Lamb of God.” Peter’s journey is one of faith, endurance, mistakes, mis-steps, tragedies, martyrdom, and reward. He takes a journey from beholding to becoming. From beholding the Lamb of God to becoming the Body of Christ. Jesus knew that life with him, despite Peter’s failings, would transform Peter and make him strong enough to bear the Church. And he knows this of us too. The new occupant of the throne of Peter seems to understand this call to go out if the reports of his leaving the Vatican at 1am to go out and to be with the poor and the hungry are true. The Swiss Guard are, of course, upset that the pope is taking such risks and yet there is the heart of the Gospel calling us to risk so that others may see and know. In the Church, we are called to behold and become – to know the living Body and to make it known. In so many ways, despite our belief and our unbelief, we are being welcomed into the new life of the Risen Christ. This Body itself is not outwardly visible – it needs outward signs to be known to the world. It is our willingness to show forth in our lives what we proclaim with our lips that shows what it means to be the Church. In a time when fewer and fewer people will read Scripture growing up or receive the Sacraments as part of their everyday life – it is that much more vital that we offer some way for them to see and know something of the simple kindness and love of Christ. Are we saved by being kind? No. Are we saved if we aren’t kind? Possibly. Will we help others to see the love of God if we aren’t kind? Probably not. Probably not because being of the Body – truly knit to Christ – means allowing ourselves to be more fully drawn into a life of self-offering. A life marked by a lack of faith, hope, or charity is probably not one that is fully of the Body. This may be at the heart of sainthood and of sanctification – we grow in relationship with God and as we do so our outward lives are transformed to ever more resemble the inward grace we are blessed with. We are being called to missionary life – to one that lives in the wilderness yet is nourished by Bread and Wine. The paradox is that as we see our lives ever more deeply formed by the missional imperative to go out we will find our churches even more full as the next generation of believers is called to come and see. The Church’s challenge is to move from an attractional model of ministry that is based on creating programming and a more impressive show to an incarnational one rooted in the lived Christian experience of every believer growing into their identity as the Body. This starts at the Altar. We receive the Body so that we might grow into its likeness. Yet the Mass is not a moment outside of time but is time most fully experienced. In the Presence of the Holy we know our true self revealed and exposed so that we might truly be present. It is not simply Transubstantiation that is being effected but a substantial transformation of ourselves, our hopes, our intentions, and our purpose. Yet after offering, blessing, breaking, and sharing comes a sending forth with strength and courage. We are given a measure of Christ’s own self to offer it to others. We behold and we become. The action of the Eucharist is ongoing and manifold. Even as we are sent out it is not because the liturgy is over but because it has just really just begun in us. We are being called to welcome others to gather, to hear how God’s Word is changing us, to know brokenness, to share blessing, to be one in holiness, to be and share peace. Often, the liturgy is referred to as the “work of the people” from its Greek root. Yet this means far more than that it is the responsibility of all to take part in the liturgical life of the parish. It means that it is our employment, our vocation, and our call. It is as essential to our identity. It is the work of the people in that it is the very infrastructure of our life – undergirding who we are and what we do. “Full faith, empty church” – it takes on a different meaning when we realize that the Church is never empty. It is always full of the Presence and potency of Christ. At some points our buildings have fewer or more people in them yet this is not the only measure of health. The real question is what are our people up to when they are not in the building? Are they living the liturgy in such a way that the Church is not confined by walls but magnified by the vision of Christ? Our buildings are among our greatest assets. They are a home for the hope-filled and hopeless alike. Yet their greatest strength lies in their ability to feed us to go out – to be forgiven and restored for life and beyond so that others may see and know the Living Christ. Are we, by our becoming, welcoming others to behold? Is our full faith the testimony of a Church that goes out from its buildings with courage and hope?